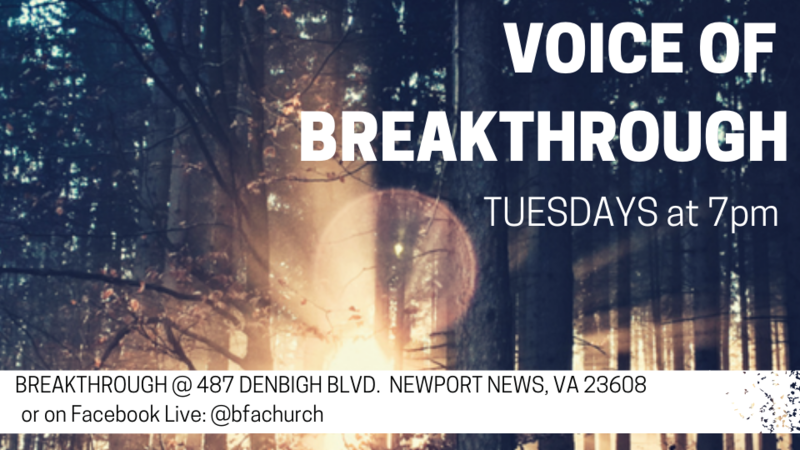 Join us for Voice of Breakthrough every Tuesday night at 7pm. Come ready for breakthrough in every area of your life. Teaching from 7pm-8pm, followed by small group ministry. Nursery and Kid’s Club available from 7pm-9pm. You can join us in person or watch on Facebook Live @bfachurch.